The Town of Danville Village Theatre Art Gallery (VTAG) is accepting entries for its 9th annual juried exhibition, Into the Blue. Artists living in the United States over the age of 18 are encouraged to apply. Accepted media includes painting, drawing, printmaking, photography, sculpture, ceramics, mixed media, and video-media. All artwork must come to the gallery ready to hang. Artist will pay for transportation and/or shipping of artwork. The gallery will only accept digital images of your artwork for the juror. No jewelry. A non-refundable entry fee of $35.00 is required for up to three images. Invited artists: Erik Abel, Ellen Levine Dodd, Liana Steinmetz, and Clayton Thiel. The gallery serves as the lobby for an historical theatre that has shows nearly every day of the week. The theatre has plays, a monthly comedy series, a monthly jazz series, and a bi-monthly movie series. The gallery is located in lovely downtown Danville, California. It is within walking distance to restaurants and shops. When selecting artwork for exhibitions, the juror only sees the artwork and is not privy to any private artist information. As a community gallery VTAG is consistently seeking ways to promote and feature all members of their community. They show works that represent under-represented communities in the Bay Area. The Village Theatre Art Gallery is an historical landmark in the lovely and picturesque Town of Danville. It is in the sunny East Bay about 30 miles east of San Francisco. The gallery is owned by the Town of Danville. It hosts to 6-7 exhibitions per year. Each summer, the gallery hosts its annual juried exhibition with a new juror each year who is a working professional in the arts field. There is no admission to the gallery and the gallery enjoys a good amount of foot traffic on a daily basis. For more information, contact artgallery@danville.ca.gov. The Keller Public Arts Board seeks entries for the 2019 Old Town Keller Rotating Sculpture Program. The program will feature outdoor sculptures in the Old Town Keller area. It is home to an eclectic blend of restaurants and businesses that, in combination with recent public improvements, attracts a variety of visitors. The Public Arts Board will review and select up to six sculptures submitted by Texas artists for a two-year exhibit. It will host the third annual Keller Art Walk, an art and music festival on Saturday, November 16, 2019. The selected sculptures shall be for sale for the duration of the exhibit with a 25% commission collected by the City of Keller. All sculptures must be ready for installation by June 1, 2019, be family appropriate, and pose no risk to public safety. Sculptures must be made of materials that can withstand the harsh Texas weather. They must require no maintenance by the City of Keller. Selected Rotating Sculpture Program artists will receive a $1,500 stipend. One-half is paid when awarded and the other half paid upon installation of the sculpture. A $500 prize is being awarded for Best in Show. The sculpture will be on exhibit in a very public, heavy pedestrian trafficked location for two years. A plaque identifying the title of the piece with the sculptors name and availability for sale will be installed at the location. The artist will receive recognition at the annual Keller Art Walk in November, 2019. Photos of the selected sculpture will be on the City website, Facebook page, and Public Arts Supporters page. The City of Keller Public Art Program has been a staple of the community for over ten years. It is becoming rapidly a locale for artists of all forms. Art encourages communication and involvement within the community, drawing visitors from far and wide. Currently, the Public Arts have a portfolio of fifteen permanent sculptures and eleven rotating sculptures. The program encourages diversity through the arts, offering bi-monthly art exhibits in Town Hall. This year includes themes of “The Human Experience; Connecting Worlds”, “Re-Imagine*5” art created from recycles, and “Endangered Species”. There are concerts featuring the Fort Worth Symphony and local bands on the front lawn all Thursdays in June. For more information, contact publicarts@cityofkeller.com. The City of Ketchum, Idaho, invites professional artists, architects, or designers to apply for a new, long-term interactive sculpture for a site on the City’s Fourth Street Heritage Corridor. The original artwork selected will be displayed on an outdoor pedestal beginning in late fall 2019. It will become a permanent part of the city’s art collection. The selected artwork will enhance the city’s visual environment and provide viewers with an interactive experience that reflects the character of the Fourth Street Heritage Corridor. The Heritage Corridor spans four blocks. It has been improved with wider sidewalks, benches, street trees, chess tables, bike racks, and rotating art installations. Anchored in the heart of Ketchum by Town Square, the pedestrian walkway now boasts increased outdoor dining options. It is home to many events during the summer and fall months. Following review of the submissions, the Ketchum Arts Commission (KAC) will recommend three semifinalists to Ketchum City Council. Upon Council approval, each semifinalist will be asked to submit proposals for the design of an interactive sculpture that responds to the history or character of Ketchum. Each semifinalist will receive a stipend of $500 upon submission of its proposal. After review of the three semifinalist proposals, one finalist will be selected and recommended by KAC to the Ketchum City Council for final approval. The finalist will receive a budget of $29,000, inclusive of artist fee, design, engineering, materials, fabrication, shipping and installation. The City of Ketchum is located in the Wood River Valley in south central Idaho. Founded in 1880 during the mining boom, Ketchum is now regarded as one of the most popular destinations for winter and summer visitors due to its world-class skiing, mountain biking, fishing, hiking, restaurants, shopping, and sophisticated arts and cultural offerings. In 2018, Ketchum was awarded designation by the International Dark-Sky Association as a Dark Sky Community and is included in the Nation’s first International Dark Sky Reserve, one of only 13 in the world. The city of Ketchum hosts the famous annual Wagon Days Parade, held on Labor Day weekend, and numerous other year-round attractions. Ketchum is home to more than 10,000 full- and part-time residents. For more information, contact lenourato@ketchumidaho.org. 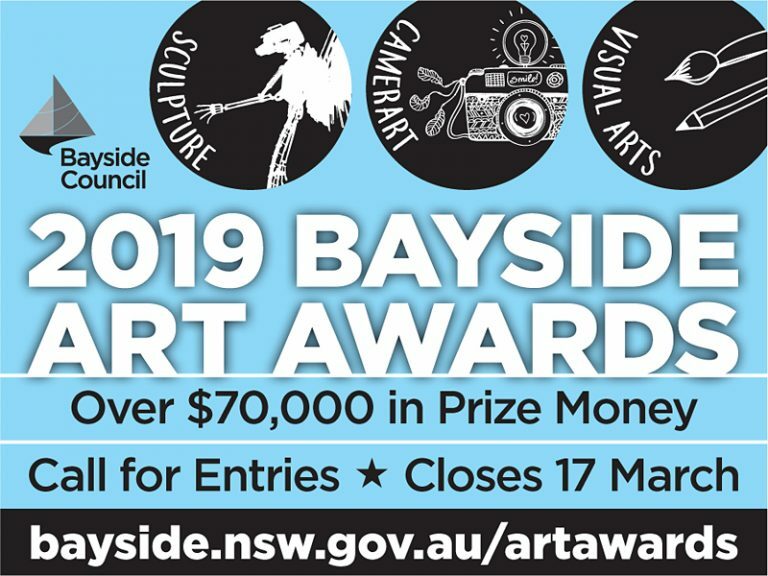 Bayside Council invites submissions from artists to take part in the 3rd annual Bayside Art Awards 2019 recognizing outstanding achievements in sculpture, photography, and visual arts. The Awards are run by Bayside Council as part of their annual Arts Festival. The Bayside Arts Festival is a month-long festival promoting, engaging, and acknowledging the local creative community as well as increasing opportunities for the broader community to participate in arts and cultural activities in the area. In 2018, the Festival program featured 30 community events, highlights include the Sculptures @ Bayside Exhibition, stART (Launch Event), GRaB (Georges River & Bayside) Arts & Cultural Forum, CamerART Photographic Competition, School Holiday Program, Earth Day Eco-Fair, Bushtracks and Turtle Dreaming Exhibition (featuring local Aboriginal Artists), and Nature and Life (Australian Chinese New Art Society) Exhibition. Now in its 3rd year, the Bayside Arts Festival continues to grow, scheduled to run from Saturday 6 April to Sunday 5 May, 2019, it will feature an exciting series of arts and cultural events, workshops and exhibitions that are accessible, innovative and engaging. Entry is free. Finalists will be displayed during the Bayside Arts Festival along the Cook Park, Kyeemagh Foreshore, from Saturday 6 April to Sunday 28 April 2019. Bayside Council strives to provide leadership in the community, assisting communities to identify, articulate, and achieve community and social goals. They embrace the concept of community capacity building: that is, facilitating the ability of community members, governments, and businesses to take the steps to find solutions to issues in their own communities. Bayside Council faces many challenges in forthcoming years that will be proactively addressed by maintaining financial discipline, building on their public and private partnerships, and collaborating to provide best value services to the community. Their strategic plan sets out how they will continue to do their share towards making Bayside a highly attractive place to live, work, and invest. 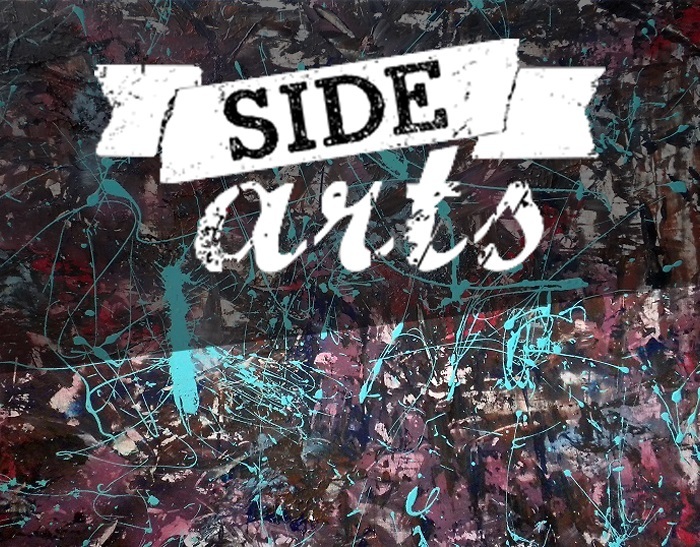 For more information, contact arts@bayside.nsw.gov.au. 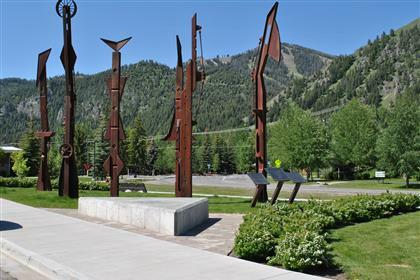 The city of Ketchum, Idaho, invites experienced artists to apply for Ketchum’s summer sculpture exhibition, Art on Fourth 2019. Original three-dimensional artwork by selected artists will be displayed in outdoor public spaces along Ketchum’s Fourth Street Heritage Corridor from June through October 2019. In its twelfth year, Art on Fourth has become an exciting part of the city’s summer attractions, presenting artwork by diverse artists ranging from locals to those of national standing. Past exhibitors include Rod Kagan, Boaz Vaadia, Gwynn Murrill, Steve Jensen, Will Robinson, and Robert Kantor. The call is open to artists creating original three-dimensional artwork suitable in scale and materials for public outdoor display. Artists may enter up to ten sculptures for consideration. There is no entry fee. Selected artists for Art on Fourth 2019 will receive a $2,500 stipend for the exhibition of their work. The exhibition will be featured on the city’s website and various social media forums. In 2012, ArtPlace named Ketchum one of the top twelve small-town arts places in the U.S. In 2014, Smithsonian Magazine named Ketchum one of the 20 best small towns to visit in the U.S. As part of Ketchum’s Downtown Master Plan, the Fourth Street Heritage Corridor was created as a pedestrian friendly street. Widened sidewalks feature benches and sites for artwork. 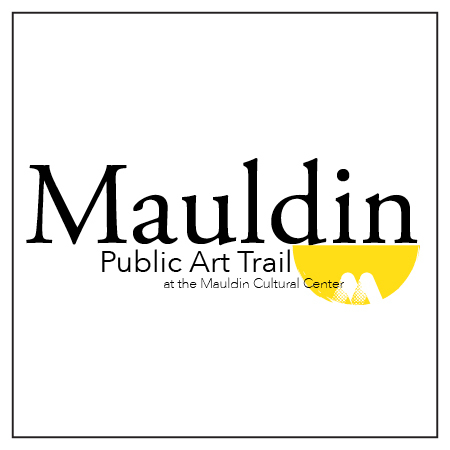 The City of Mauldin and the Mauldin Cultural Council in Mauldin, SC invite all South Carolina based visual artists, working solo or as a team, to submit proposals for the Mauldin Public Art Trail 2019. The selected artist will create a work in any medium that reflects the specific theme “Youth: Passion for Change.” Experiential or participatory components are permitted. The outcome will include one complete art work made ready for public presentation for a minimum of ten (10) years at the Mauldin Cultural Center around the outdoor amphitheater. The Mauldin Public Art Trail 2019 artist must be a resident of the state of South Carolina during the duration of the project. Non-resident students enrolled in collegiate programs at South Carolina universities/colleges are not eligible. For Artist Teams, all members must qualify under these residency guidelines. Artists must demonstrate experience in public art projects and have experience with creating public art works with lifespans of ten years or more. Artists working in any medium are welcome; however, the work must withstand seasonal change over ten years, public interaction, and be self-sufficient. The maximum budget for the project is $15,000 – inclusive of all artist fees, materials, travel, and construction. Artist will be honored with an unveiling ceremony and a ribbon cutting that is open to the public. Media and local officials are invited to this ceremony. The artist and his/her piece will be shared with local media and via the City and Cultural Center’s social media accounts. The work of the artist will visible on the Cultural Center’s website as long as the piece remains standing along the trail. The artist will receive a plaque next to the installation detailing the artist’s statement and/or process. The Mauldin Cultural Center (MCC) was created to establish, develop, and promote a cultural system that celebrates the Mauldin community, leverages the arts for the economic benefit of the City and its citizens, and strives to give all citizens and visitors the ability to experience and participate in artistic and cultural activities in an effort to continually develop a more vibrant community. The Mauldin Cultural Center is the product of community partners with the vision of developing a cultural center for the City of Mauldin. Originally Mauldin High School, and later Mauldin Elementary School, the building was constructed in 1937 as a WPA Project and has since seen a few minor updates as the schools grew. In 2003, the City of Mauldin began the process of purchasing the 14 acre property as the first step toward creating a City Center. Currently, MCC hosts almost 30,000 people annually. They offer a wide-range of arts education classes, live concerts, theater performances, comedy, art exhibits, a public art trail, and community events. For more information, contact kkitchings@mauldincitysc.com. The City of Elgin Cultural Arts Commission (ECAC) announces its’ third annual Call for Public Art. The ECAC is searching for two new pieces of public art as part of the “new works program” as outlined in the City’s Public Art Plan: one 2D piece and one 3D piece. Available locations for the 2D work include the first floor of the Spring Street Parking Deck and the Highland Avenue bridge underpass along the riverwalk. Available locations for the 3D works include Newsome Park, Walton Island, or a pedestal on Riverside Drive. As part of the application, the artist must select a location from those available and propose their new public art piece specifically for that location. Artists must provide a completed application along with a narrative, design illustrations, budget, resume, work samples, references, and supporting materials (if applicable). The honorariums offered are $6,500 for each of the two new pieces of public art. Applications are scored blindly by the ECAC based on the following criteria: artistic excellence, technical competence, narrative support, appropriate relationship to the function of the site, and long-term feasibility. City staff, to ensure installation feasibility, will evaluate the top three pieces scored. The ECAC will make a final determination based on the scores and recommendations by staff. Winners of the honorariums will be announced in late spring. After selection, production of the new works is expected to begin in early summer and be completed and installed in time for the annual Art Harvest event in late October. Selected artists will receive an honorarium of up to $6,500 for their work and the support of the City of Elgin for their project. Being that the artist can select the location from those listed on the application, it is up to the artist to determine how they wish their work to impact the community. Once installed, the work will be on display for a length of time set by the artist. It will be included in the city’s public art map and online database. The work will be officially unveiled at the annual Art Harvest event at the end of October. Art Harvest is a family-friendly event that encourages our community to visit the public art installations around the downtown area. It is attended by about 400 people each year. The City of Elgin tasked it’s Cultural Arts Commission with creating a public art plan in 2016. Part of that process was to determine the needs of the community and how best to fit those needs. Components of the plan include other projects such as utility box wrapping and neighborhood public art grants. Since the plan’s implementation in 2017, the Elgin Cultural Arts Commission has selected and installed five new pieces of public art. The community has been extremely vocal not only in support of the pieces that were selected, but also in support of public art and how it impacts their daily lives. For more information, contact harris_a@cityofelgin.org. The Arts Council of Lake Oswego announces a call for artists for a public art gateway project at Highway 43 and Terwilliger Boulevard. Be the first artist or artist team to create a public art gateway of a size and scale that has never before been done in the City of Lake Oswego. This project will produce a public art work to define the Northeastern gateway (entrance) into Lake Oswego. This art work will be a marker of boundary as people cross from one place into another. It shall invoke a sense of place and be associated with the identity of Lake Oswego. Total public art gateway project budget is $275,000. Of that, about $156,750 is allotted to artist (or artist team). The Selection Committee will work with the artist (or team) to finalize the schematic design and integration of artwork with the site. Submissions will be evaluated by Selection Committee based upon the overall quality and merit of the artists’ past works. The Selection Committee will screen the artists’ applications and may select five or more finalists. Those selected will be paid a modest design fee for an interview with the Art Selection Committee and presentation of conceptual design proposals. Contracts and final budgets will be discussed at that time. Lake Oswego’s cultural and natural resources play an important part in shaping the character of the community today. With a population of about 40,000 (largest city in Clackamas County), Lake Oswego is a growing, vibrant city. It is located ten miles south of Portland, Oregon. Demographics of the city include a median age of 45 to 70+, high discretionary incomes, active lifestyle, a love of travel, commitment to the community, and a higher education level. In the Pacific region, residents have a higher than average attendance of visual arts programming as compared with other areas of the U.S. In Clackamas County, cultural tourism is a key economic driver. Lake Oswego is a leader in forging partnerships with the local arts community. 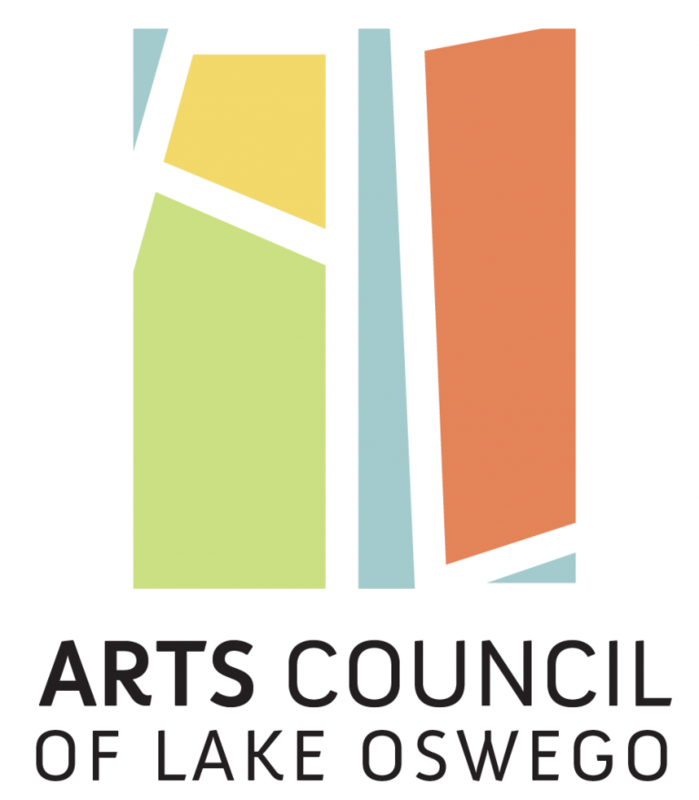 The Arts Council of Lake Oswego administers the public art program; works with the City and community to select, site, and maintain the nationally recognized Gallery Without Walls sculpture program; maintains the City’s permanent art collection of over 250 works; and provides accessible arts programming for the community. For more information, contact sgjohnson@lakeoswego.city. Bridgette Mayer Art Advisors (BMAA) in collaboration with The Executive Committee of The Bower is seeking to commission professional artist/sculptor and or artist teams to design, fabricate, and oversee fabrication and install permanent site-specific sculptures or permanent land art installations as part of its launch of its Phase I Bower Sculpture Park and Gardens. The park is located in Shermans Dale, PA (30 minutes outside of Harrisburg, PA). The owners are developing The Bower: Sculpture Park and Gardens, a rural setting, garden, and sculpture park located on their 36-acre wooded and meadow site along the northern slope of the Appalachian Mountains in Perry County, Pennsylvania. The Bower Sculpture Park and Gardens will serve as their primary residence, event setting for non-profit organizations, and a nature and art education center. This project is a legacy project they are undertaking to support artists and create a viable sculpture park that will educate and inspire the general public. The future plans include an artist studio, an artist residency program, possible gallery/exhibition space, and public programming with various museums and collecting groups. There are meadow, garden, and woodland settings on the property where the commissioned sculptures and projects would be placed. It is the owner’s vision to curate an array of sculptural works, both large scale and intimate, that present visual interest from multiple perspectives. The works shall be designed to complement, enhance, or provide interesting contrast within the natural setting. The construction shall be durable to withstand the changing seasons and weather elements and safe for interaction by visitors. Chosen artwork will be required to withstand a high-traffic, unmonitored outdoor environment with very limited maintenance. Artists should take into consideration the possibility of adverse weather conditions, the well-being of pedestrian traffic passing by and through the site, and the safety of the audience. Approximately five to ten finalists will be chosen from the pool of applicants. Those finalists will be provided an honorarium up to $1500.00 to work with Bridgette Mayer Art Advisors and attain feedback from the Executive Committee to develop a final proposal for the artwork. Artists may utilize imported materials of their choosing or landforming, stone, wood, or other organics from the natural setting. The chosen artists/teams will then be commissioned to finalize design, fabricate, ship, and install the artwork. BMAA and Executive Committee will discern amount of honorarium to be given out based on potential travel and or other expenses of the particular applicant and an amount of up to $1500.00 will be awarded. For artists wishing to submit already fabricated scultpure works, they can do so for consideration, however please note if a work is selected that is already fabricated, an honorarium will not be provided in this instance. Bridgette Mayer Art Advisors is a full service art consulting firm based in Philadelphia and Los Angeles. They specialize in art acquisitions, curating collections, and commissioning artworks for private individuals, corporations, and businesses including the hospitality industry and universities. Services include all aspects of projects including setting budget and collection goals, selection of artworks from acquisition through framing and installation, valuation and insuring of collections, and collections management. In addition, they have extensive knowledge and experience in selling and procuring artworks on the secondary market and the contemporary art market. For more information, contact bmayer@bmayertart.com. 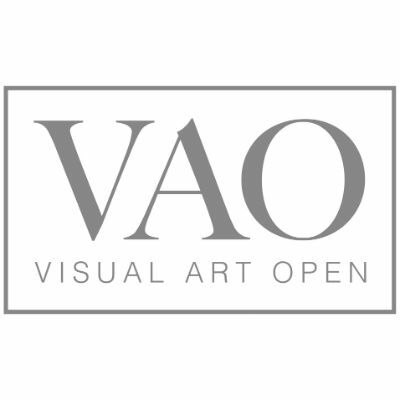 Black Mango announces a call for artists for the 2019 Visual Art Open Prize. The aim is to give artists the ultimate platform to develop their passion and career in the arts sector. Cost – £15.00 per submission. £10.00 for entrants under 24 years old. There are six categories: painting / mixed media / printmaking, illustration / drawing, sculpture, photography, digital, and young artist (under 24). The overall winner of the 2019 Visual Art Open Prize will be awarded a cash prize of £1,000.00 to support the production of new works, commercial mentoring package, and stand space at Chester Art Fair 2020. £250.00 will be awarded for each winning category. The majority of applications will be published across social media platforms helping to promote artists further. Black Mango are experts in events management and experience concepts. Delivering a unique event for each guest is their raison d’être. From one goose-bump inducing surprise to the next, they create memorable experiences. Experiences designed to engage, strengthen ties, and build loyalty to you. Their goal is to make your organisation better, by developing dynamic solutions to your event challenges. Challenges as complex as concept development, communication, logistics, production, and travel organisation. For more information, contact info@visualartopen.com.